The Plymouth Duster was a short lived (1970-1976) fastbackish variant of the Plymouth Valiant/Dodge Dart A-body sedan by Chrysler. 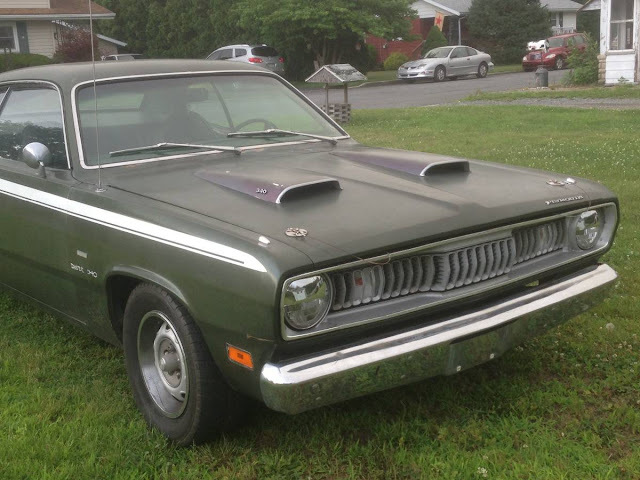 The Duster is a relatively cheap way to get into a piece of classic Mopar that might not have the cachet of the 'Cuda but prices are more reasonable. 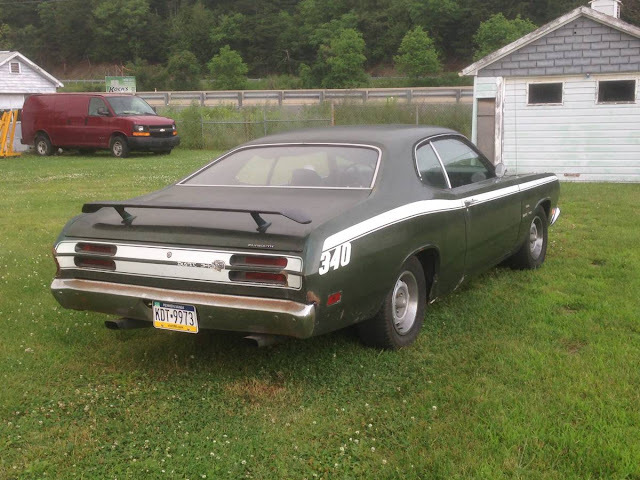 Find this 1970 Plymouth Duster 340 offered for $8,500 in Lehighton, PA via craigslist. Tip from Rock On! This Duster isn't a special edition like the Feather Duster (featured with lightweight aluminum parts), Space Duster (fold-down rear seat offered huge storage capacity) or Silver Duster (special cosmetic stripes and unique cloth interior), but it does feature a 340 V8 mated to a 4-speed manual gearbox and a positraction rear end. If this were in WA & not PA I'd be going to look at it today. If there is no rust & the VIN, Fender Tag & engine match then I'd say this is a no brainer for fun. Dodge Demon was the sister car ! I actually thought DT was pulling our leg with those "special edition" names and descriptions. Then I googled it! Dang, they were real. I was getting ready to propose some other special edition possibilities, like the Pixie Duster (sparkly upholstery), or the Angel Duster (hidden compartments in the trunk). Anyone else feeling inspired? Don't forget about the Gold Duster package too.